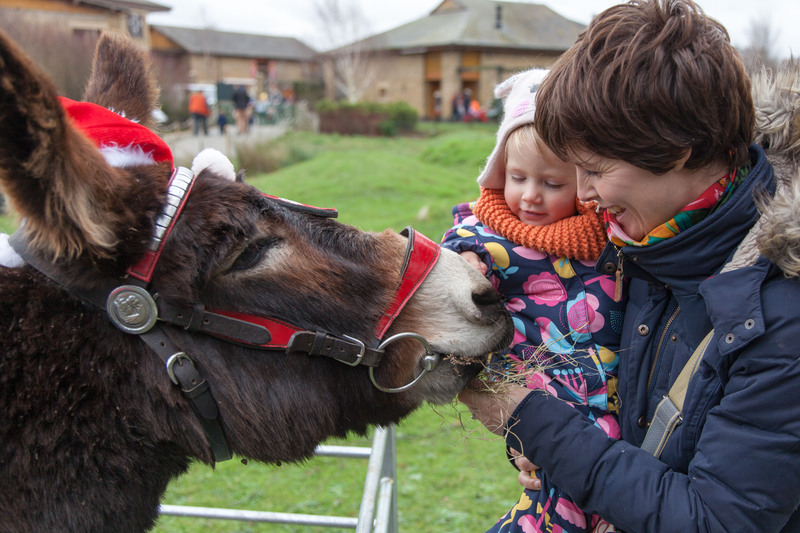 Join us for some festive Christmas fun at London Wetland Centre this December. We have lots of activities for the whole family to enjoy! Children will be thrilled to hop aboard for a festive husky sleigh ride through the beautiful wetland scenery or take a ride on an adorable donkey. It's a wonderful experience and makes for a great photo too! The Elves are a little behind schedule this year and they need help to ensure there are enough presents in time for Christmas! Drop into their workshop throughout the day to help them prepare and to make your own Christmas gifts. To warm up, drop into the Kingfisher Kitchen and warm up with a hot drink and a range of homemade, festive food or browse our shop for Christmas gifts, decorations and more! Find out more about our cafe and shop. In addition to our Christmas events there's a whole host of drop-in activities. Join us to make bird feeders and learn about birds in winter. Discover which animals hibernate on site and make a home for them using natual materials. Tick and twitch your way into 2019 with a birdwatching walk. Or enjoy a story around the fire as we transport you to storyland. Find out more when you visit this winter.